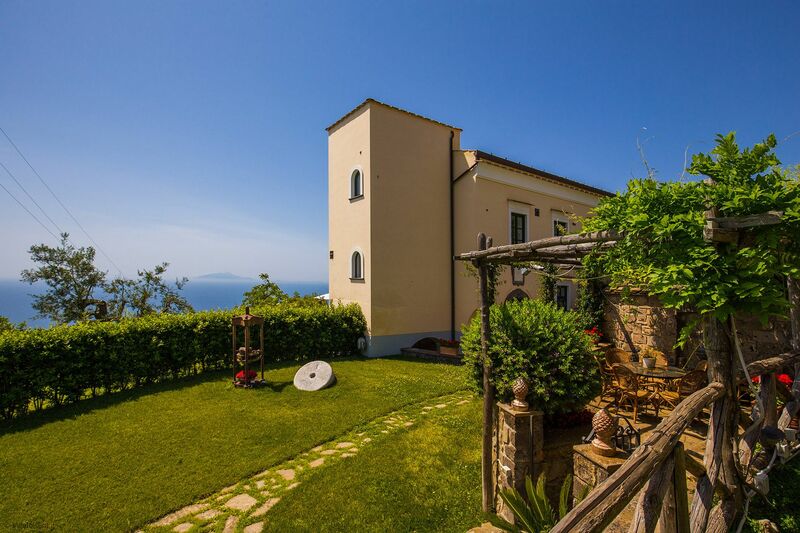 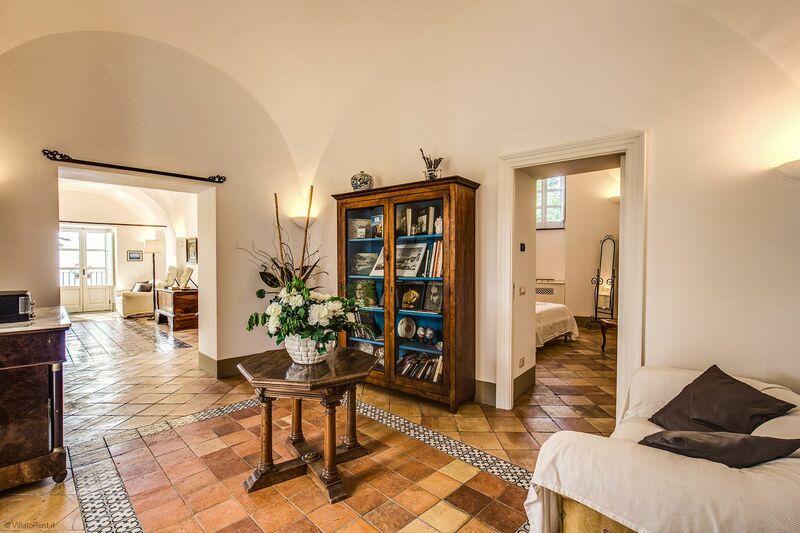 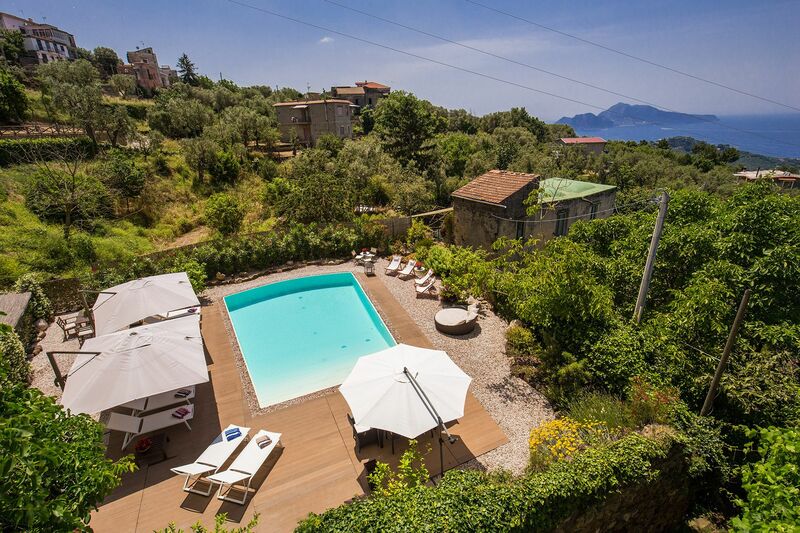 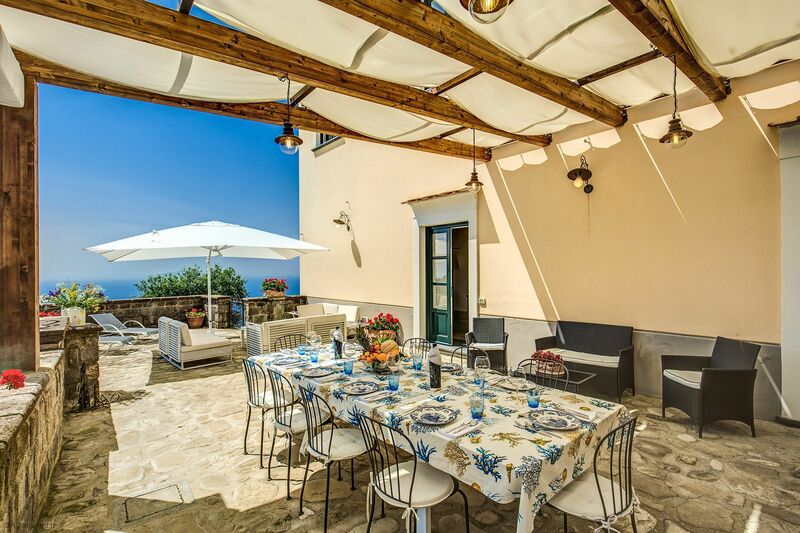 Villa Aqvara, originally an old farmhouse, is a breathtaking and peaceful all-suite villa in the cute village of Massa Lubrense, just minutes from Sorrento. 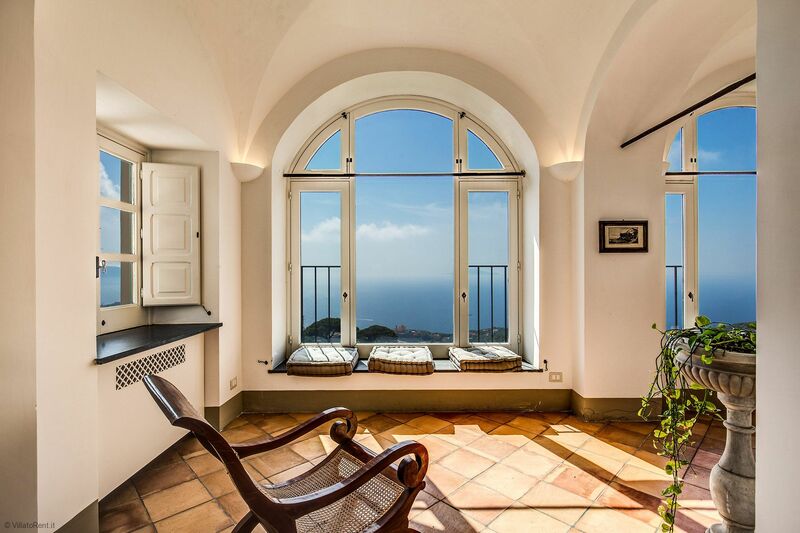 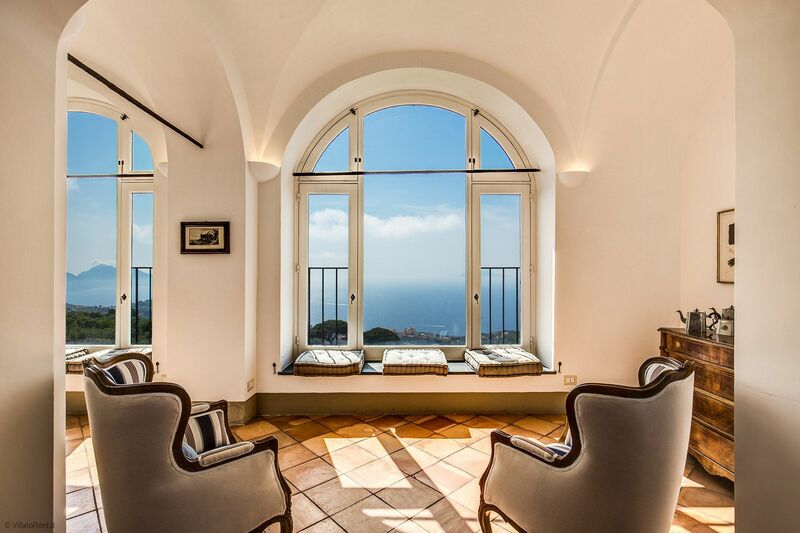 It overlooks the Tyrrhenian Sea, which is part of the Mediterranean. 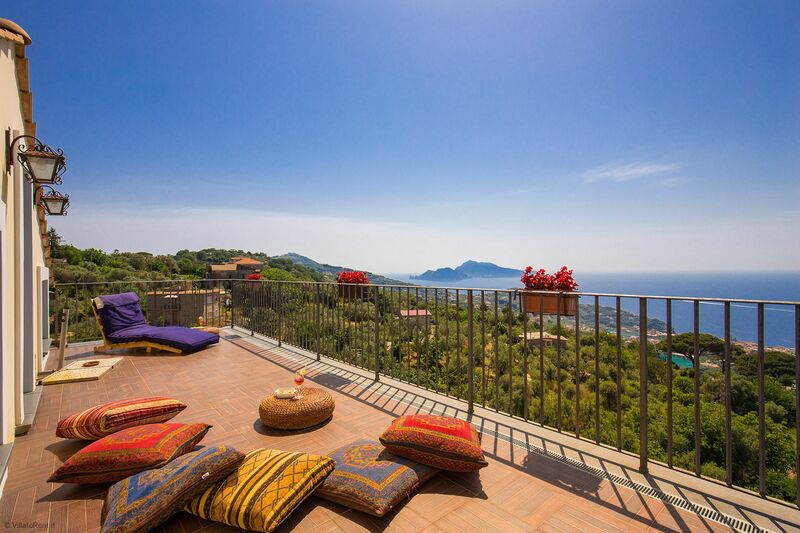 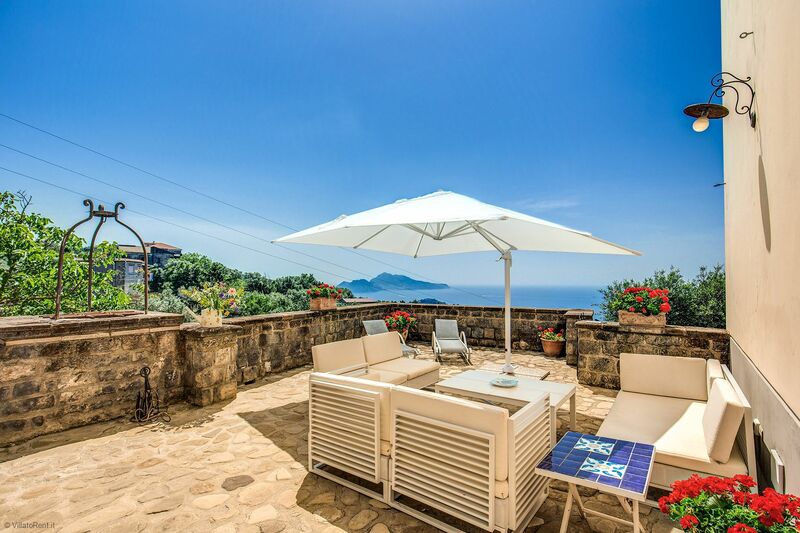 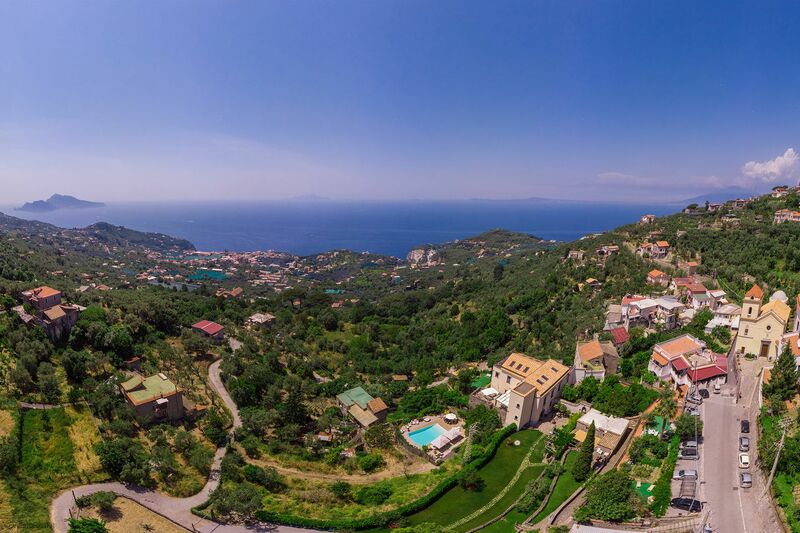 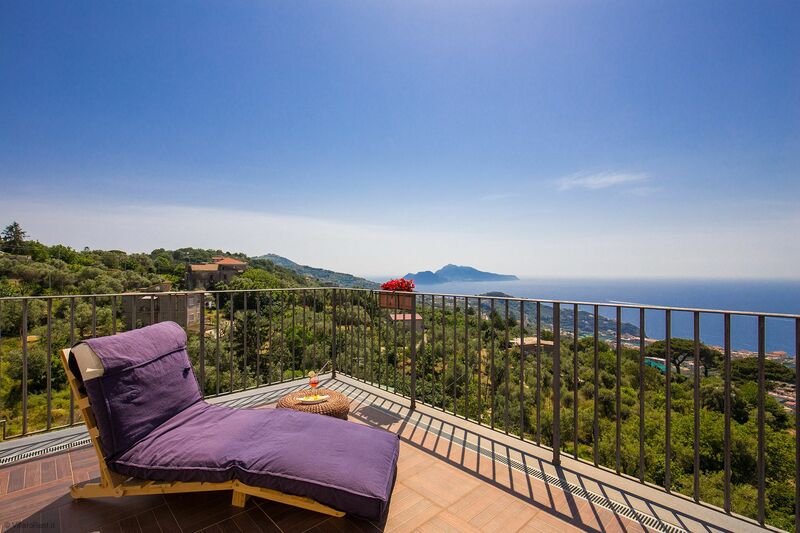 Villa Aqvara is perfectly located in the green hills of Massa, giving its guests spectacular panoramic views of the Gulf of Naples, with its magnificent islands Capri, Ischia, Procida, as well as the ever-imposing Mount Vesuvius. 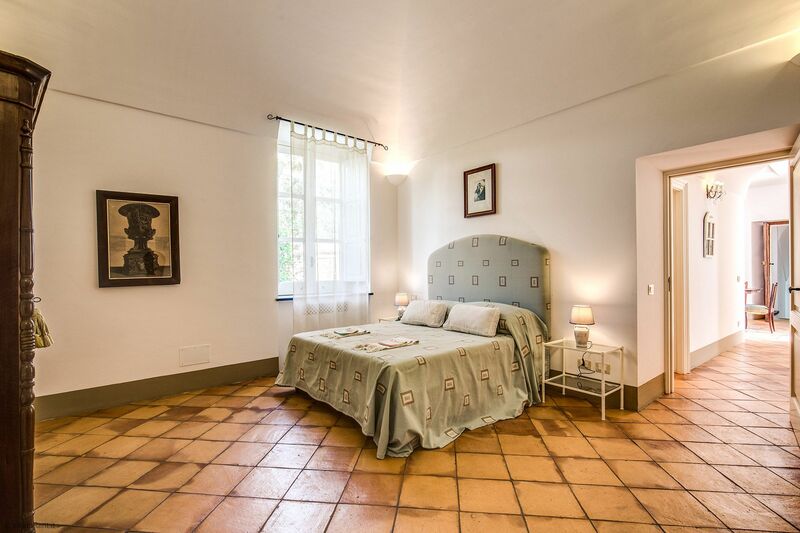 Built in 1776 by the Baron of Cerqueto, Vincenzo Maria Ajello, just ten years after the signing of the Declaration of Independence (to give you an idea of Villa Aquara’s rich history), the house takes its name from the spring water, abundantly present in this territory, which supplies the extraordinary vegetation, as well as a wash house that is still in use today. 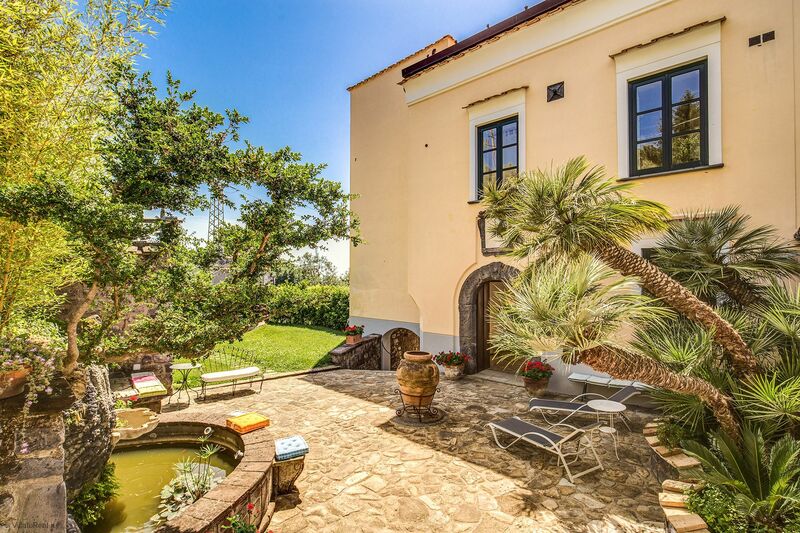 At the entrance of the villa is a fantastic Italian Rococo style fountain, with lava stone and tuff that welcomes guests with its spouting water. 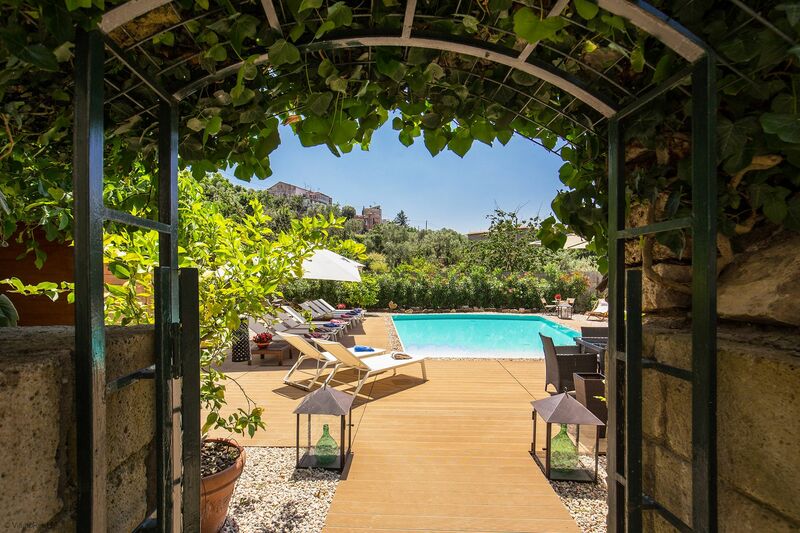 As you enter the property, the scent of flowers and plants, as well as the varied colors of the water lilies will touch all your senses. 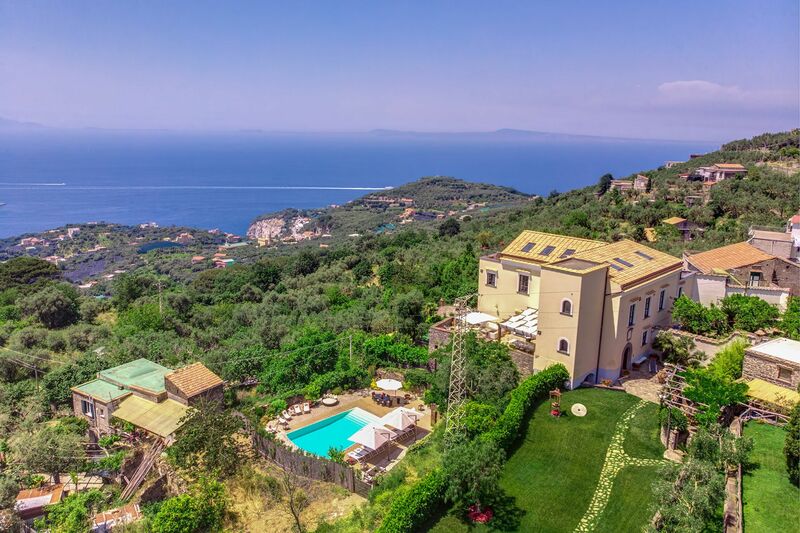 Villa Aqvara is caressed by the deep blue of the Mediterranean Sea and surrounded by a natural Amphitheatre of perfumed Mediterranean vegetation. 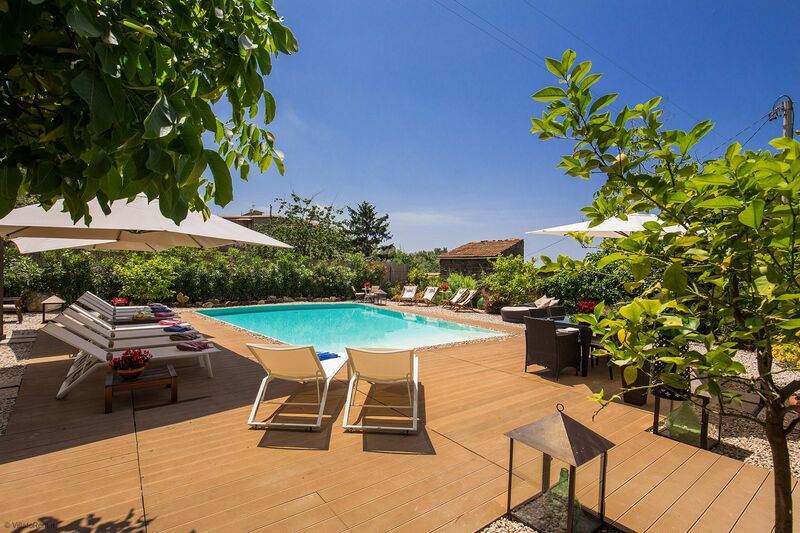 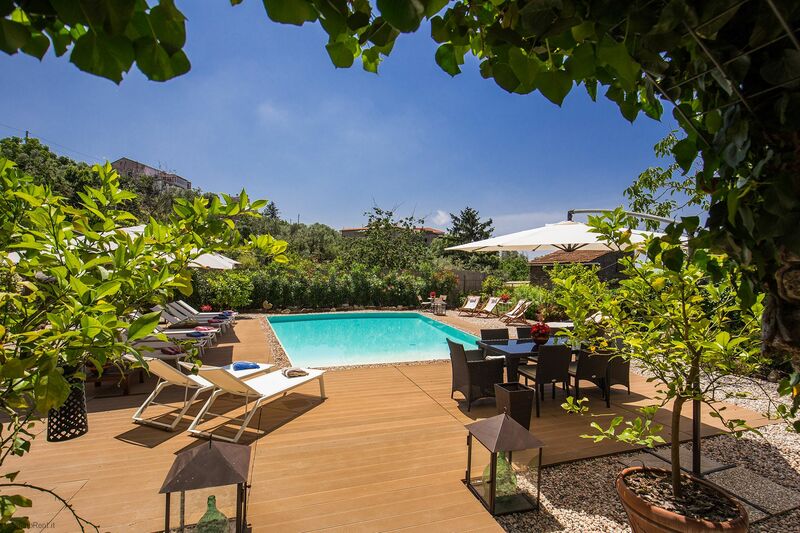 Villa Aqvara is the perfect location if you want to have a relaxing holiday in an authentic Italian villa. 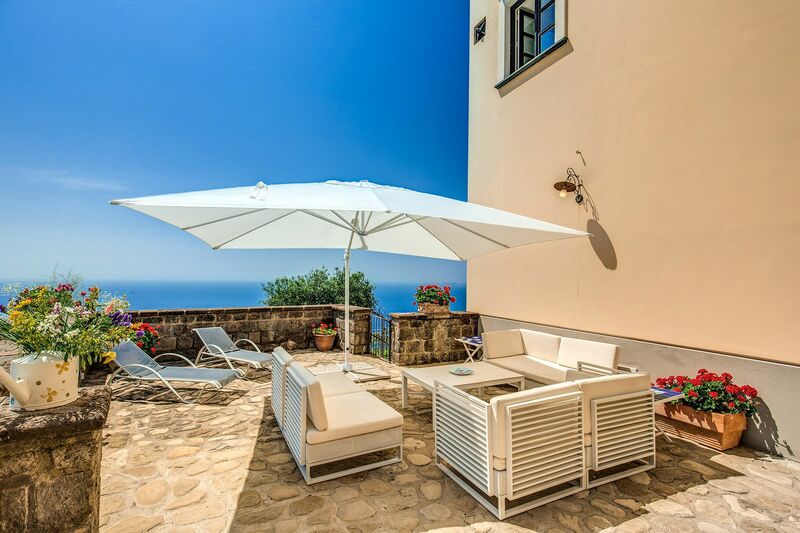 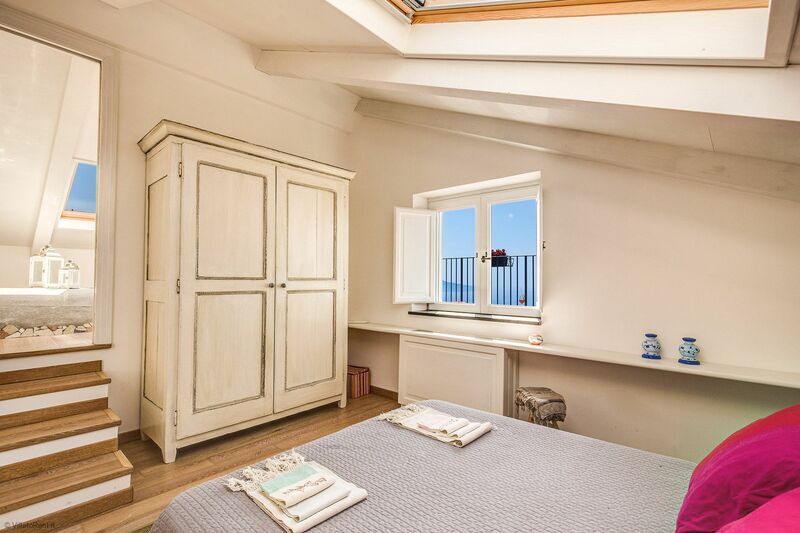 Villa Aqvara will provide your privacy and serenity, while also giving you the opportunity to reach all the best spots of the village and Sorrento (beaches, shops, supermarket) within a 5-minute walk and a 20-minute car ride, respectively. 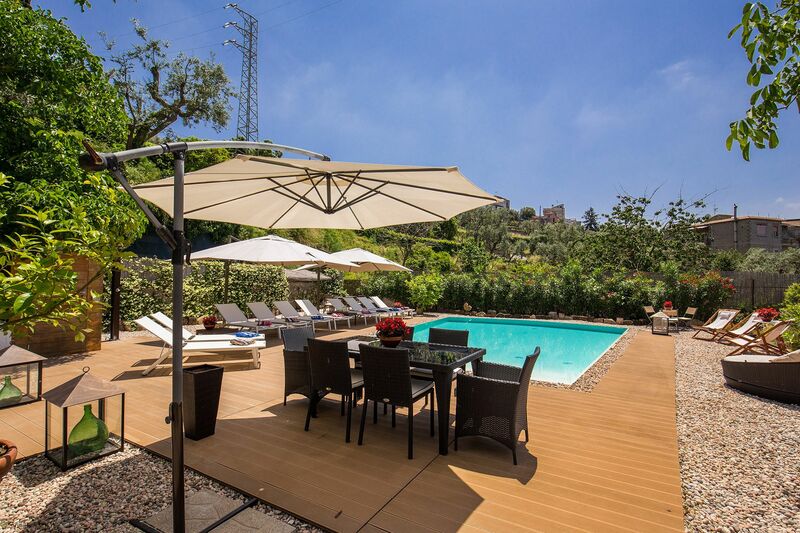 On the property, there is gated, private parking for four cars. 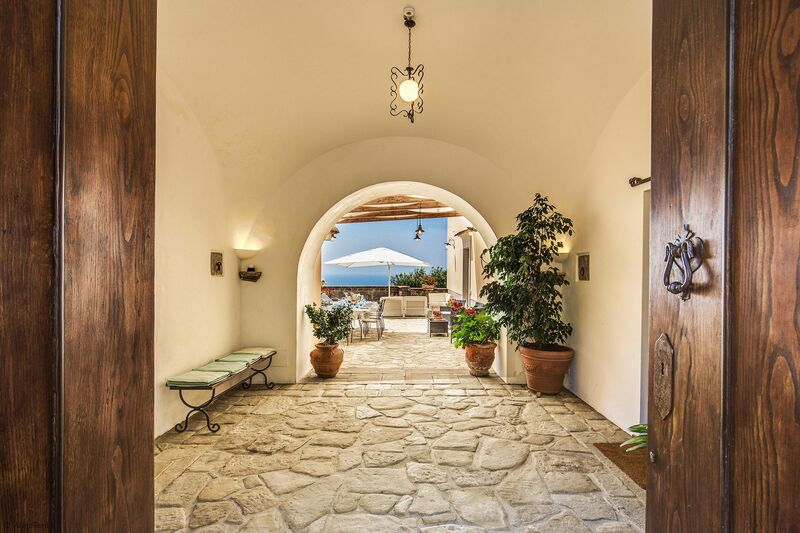 From there, a 100 meters flat, stoned walkway leads you straight to the magnificent front door. 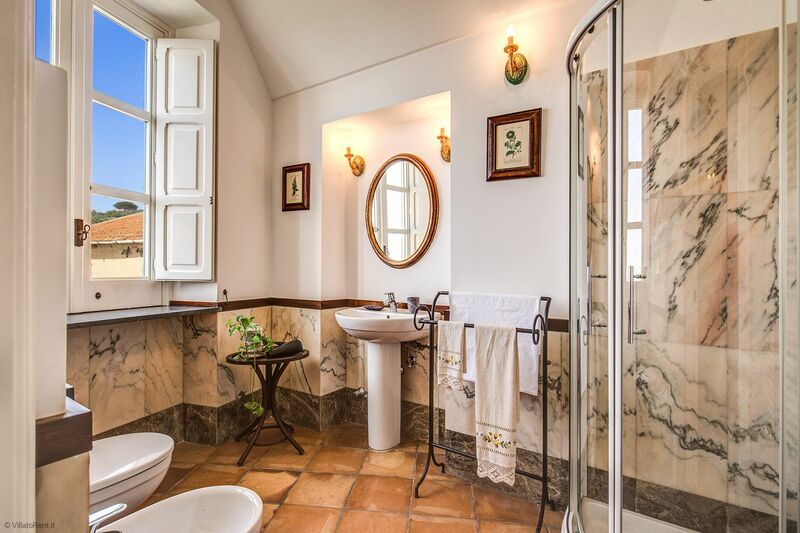 The villa has five bedrooms, six and a half bathrooms with comfortable living rooms, furnished with antique furniture, two large dining rooms, and two large kitchens to ensure a luxurious and relaxing stay in a warm and welcoming environment. 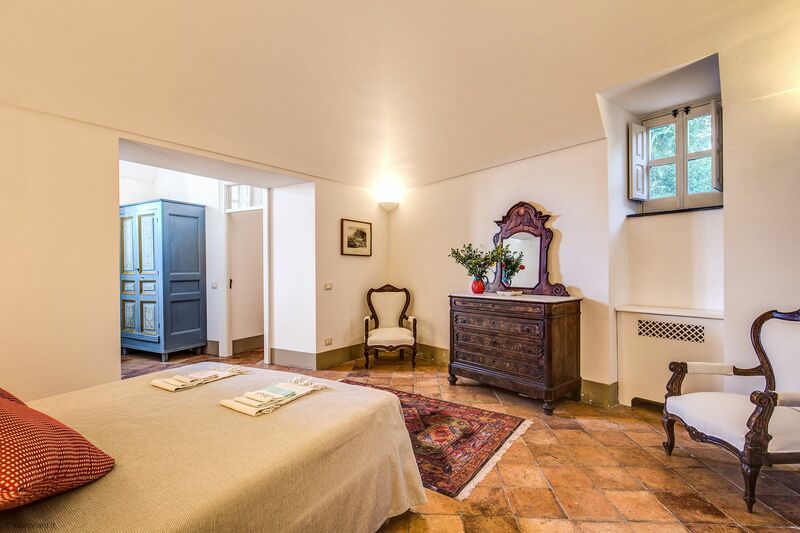 An extra charming Annex is available for 4 people more as extra price, is an old Oil mills totally renewed with a lor of character, it has 1 bedroom, kitchen and one full bathroom. 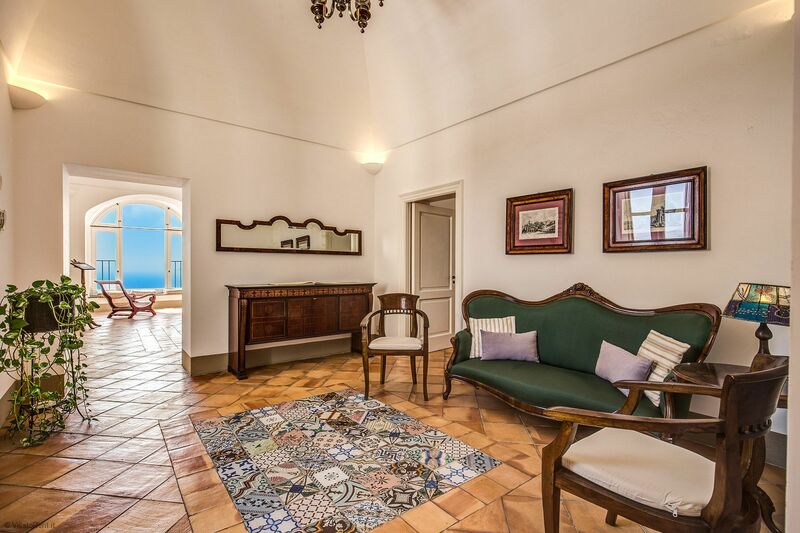 All rooms have large windows or balconies with sea views, furnished with exquisite attention to detail from the wallpaper to the colors and textures similar to those of ancient materials, such as the eighteenth-century terra cotta and faience tiles by Giustiniani, Del Vecchio, and Delle Donne, whose colored floral designs and geometric patterns are a perfect harmony of shapes and hues. 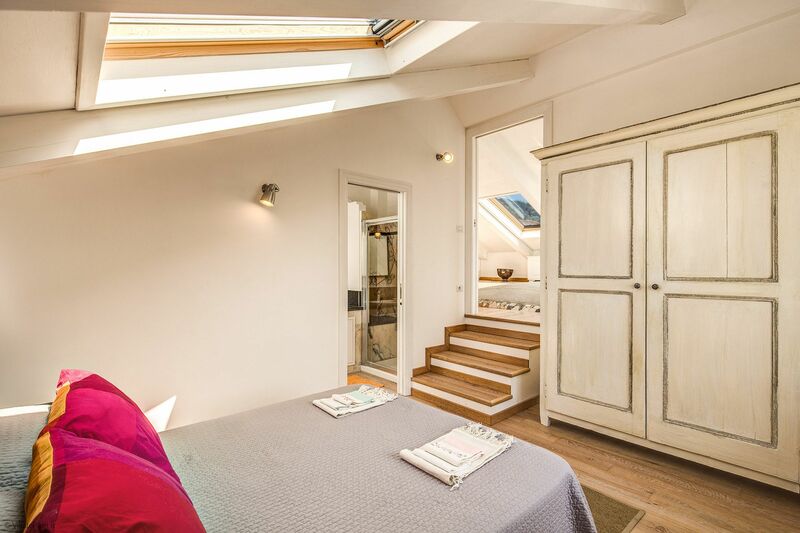 There are two, all-suite bedrooms on the first floor. 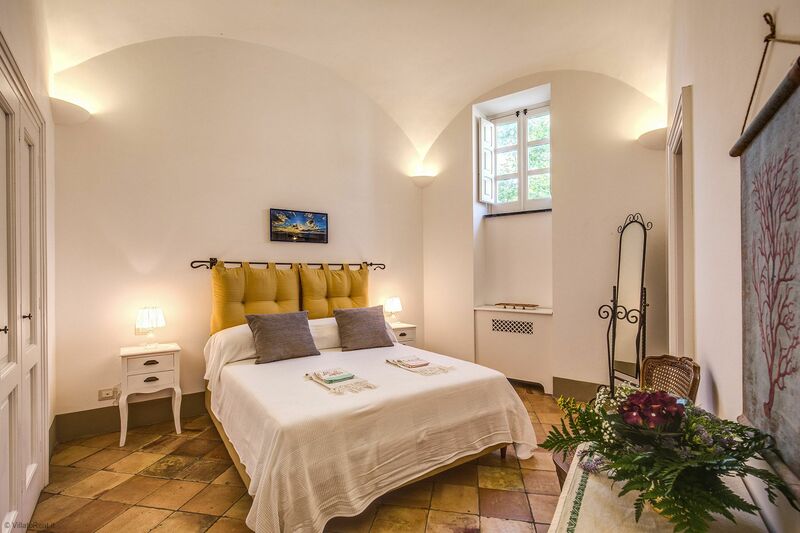 Each bedroom is furnished with an EU Queen size bed (wider than a US Queen), wardrobe, and in-suite full bathroom complete with a walk-in shower and a sunflower shower head. 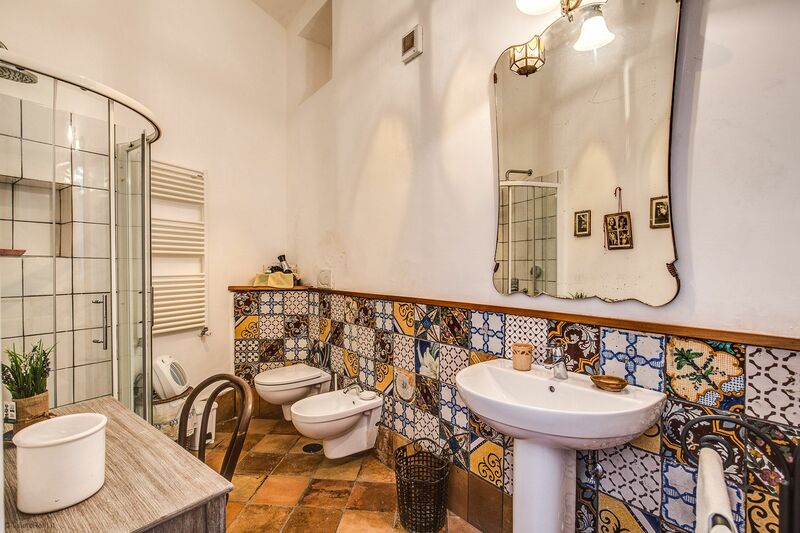 Each bathroom is accentuated by tiled floors, gorgeous marble walls, and impeccable wood trim. 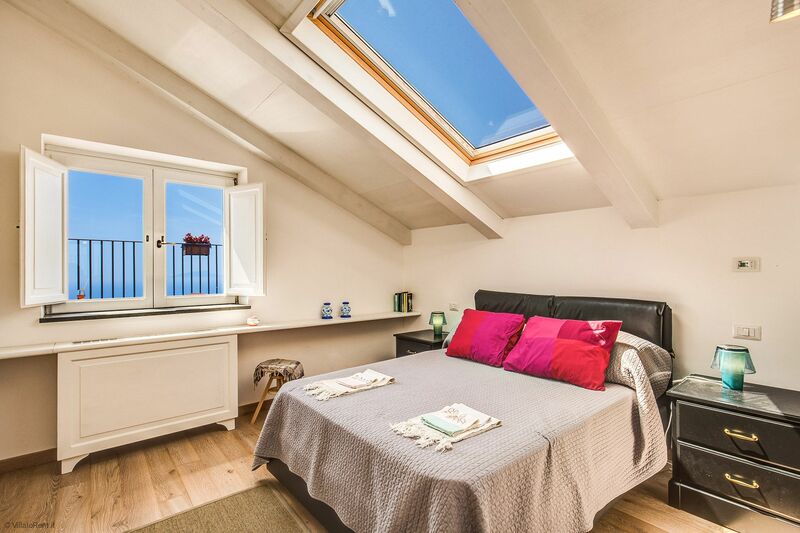 It is important to note that there is a single size, foldaway bed, which can be placed in either bedroom for a child or extra guest. 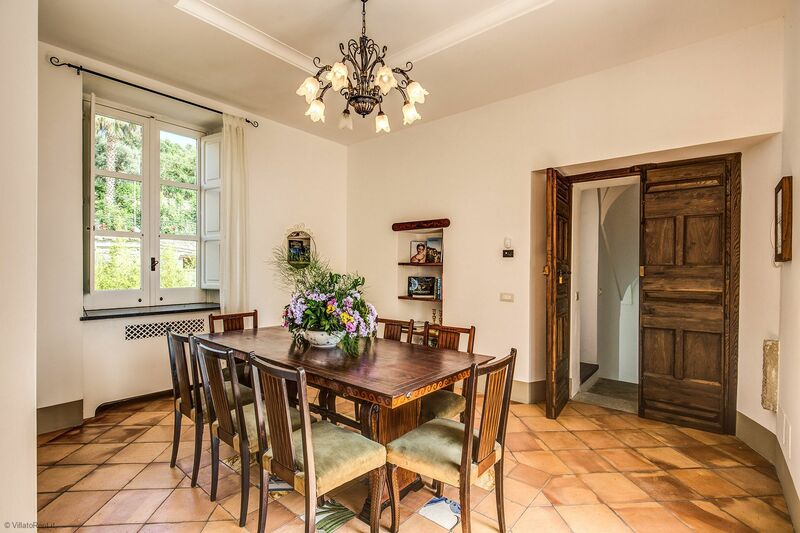 A beautiful kitchen, spacious and fully equipped, is found on the first floor. 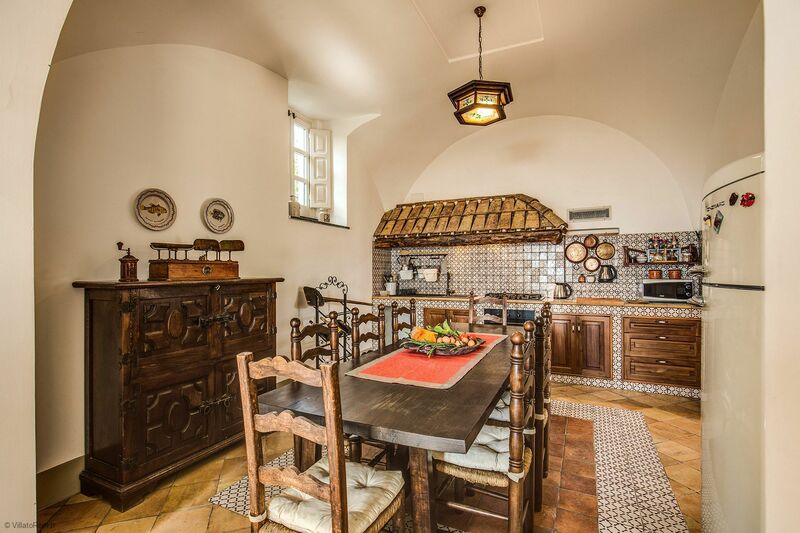 It is complete with a 5-burner gas stove, oven, refrigerator/freezer, microwave, dishwasher, and a kettle for a teatime of your choosing. 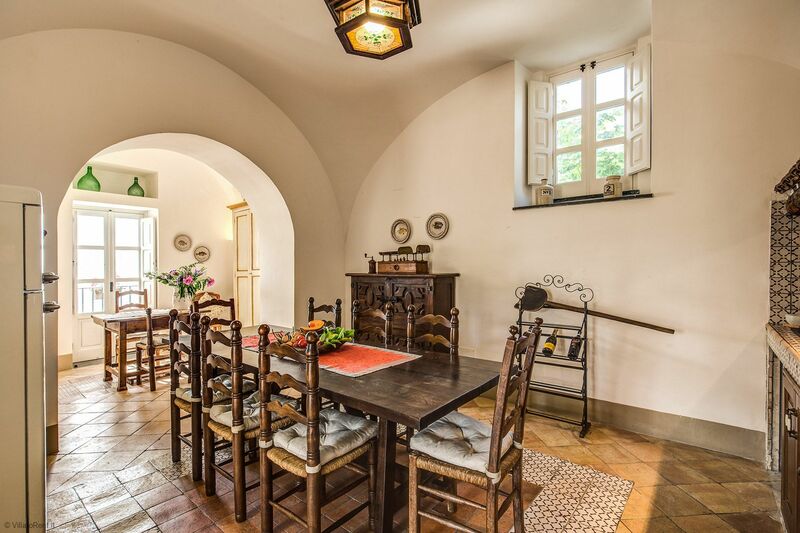 A dining table for eight completes this magnificent kitchen. 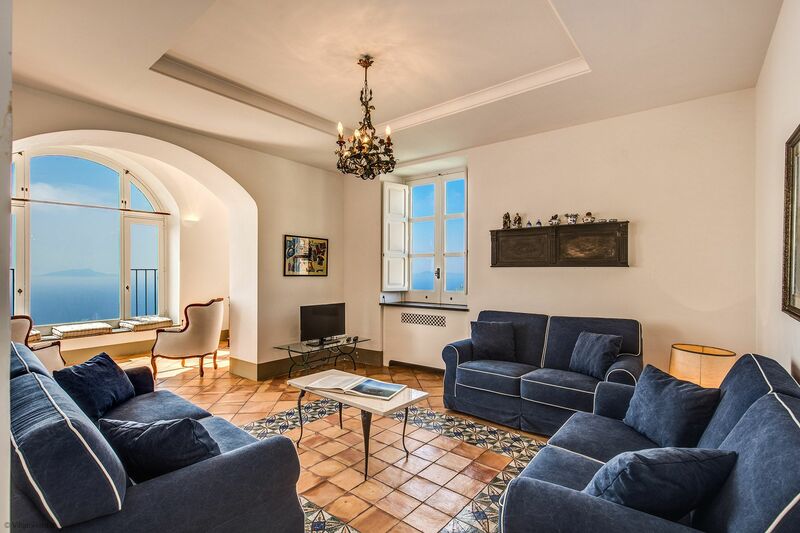 Just off the kitchen, you will find the living room, complete with a 32” flat screen TV, Sky satellite programming, comfortable sofa, and a large bay window, providing an absolute amazing view of the Mediterranean Sea. 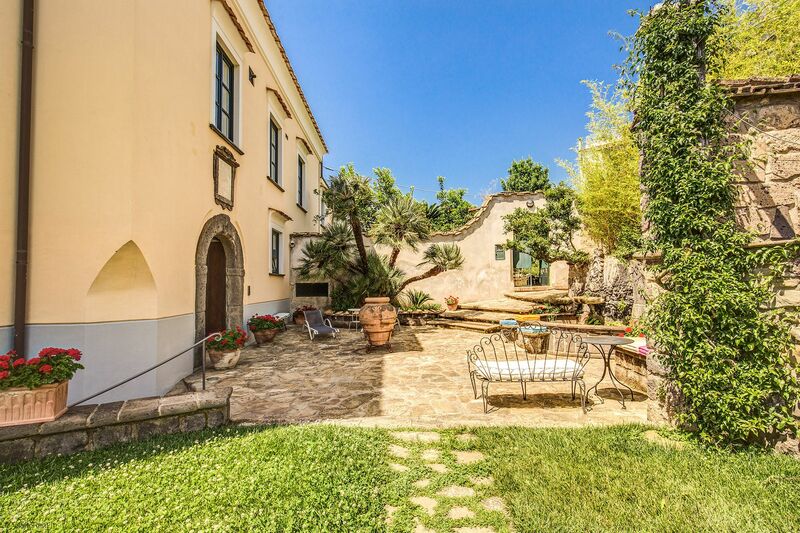 Outside, you will find a large terrace with patio set, barbecue, and a picturesque water well that was in use up until just 2008. 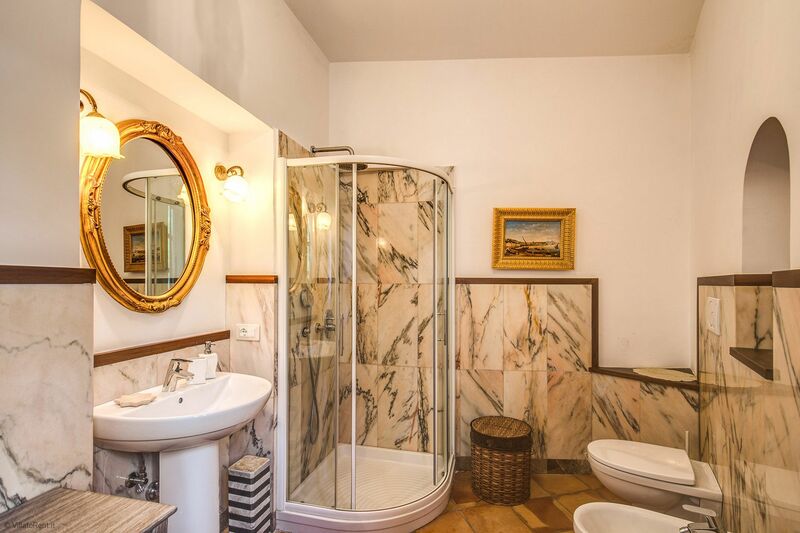 It will definitely take you back to the days of yore. 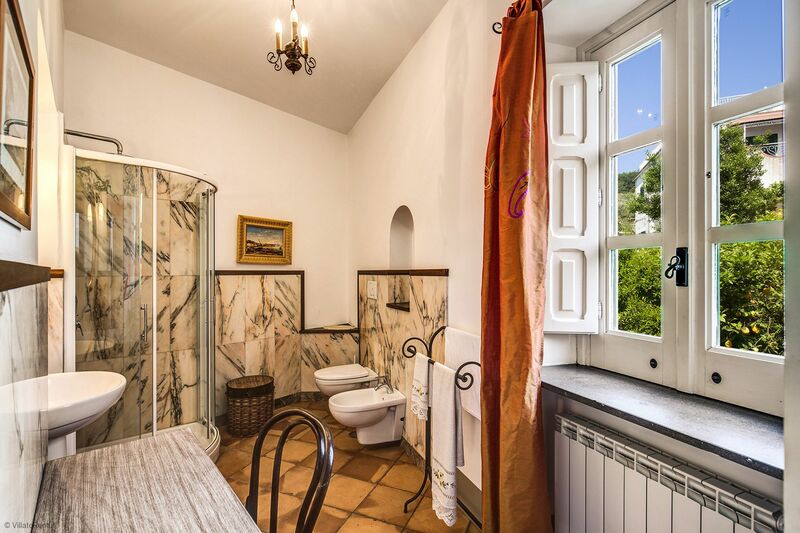 There is an enclosed laundry room with a late-model washing machine found just off the terrace for convenient access. 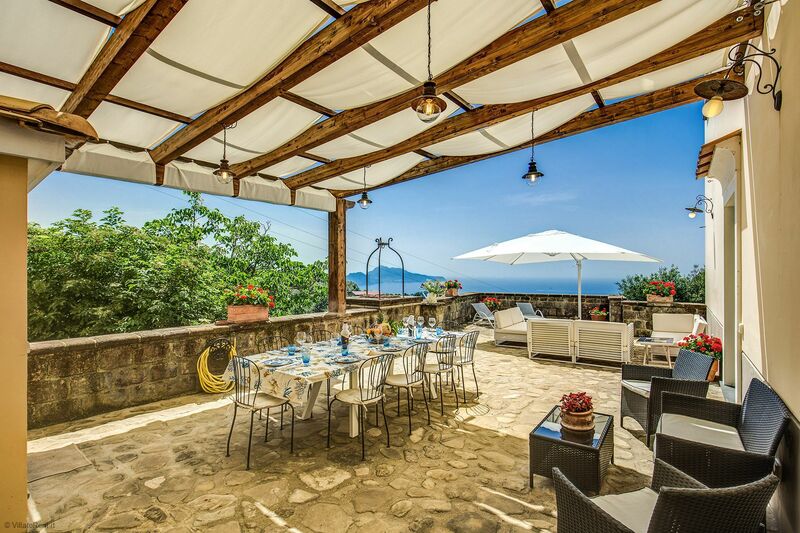 Other convenient features of Villa Aqvara include heat, air condition, and WiFi throughout the property. 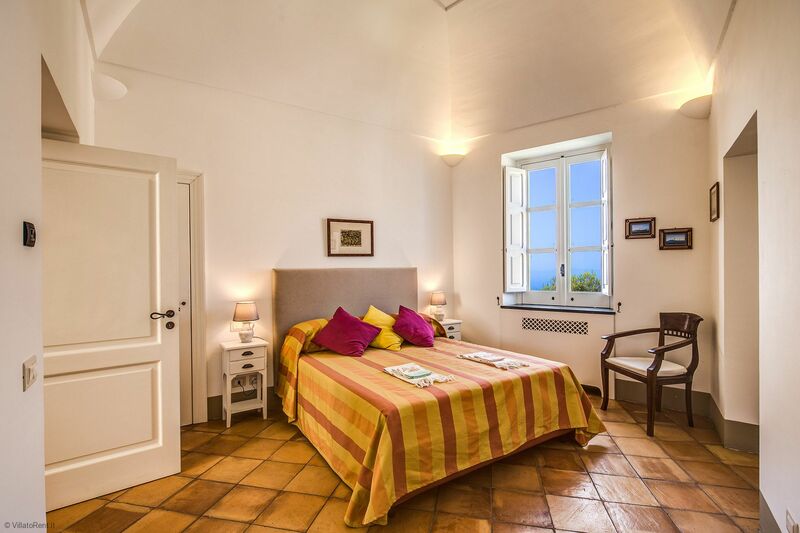 Like the first, there are two, all-suite bedrooms on the second floor.Each bedroom has vaulted ceilings and is furnished with an EU Queen size bed (wider than a US Queen). 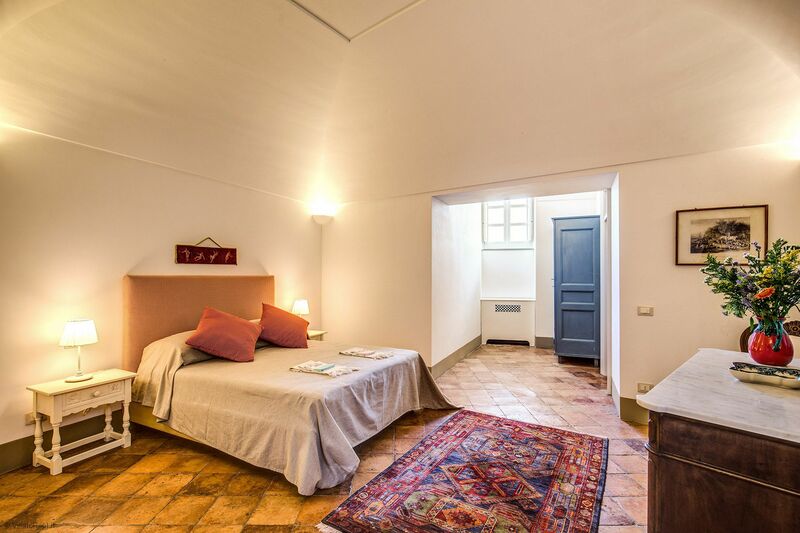 There is a single bed in one of the suites for those with a child or extra guest. 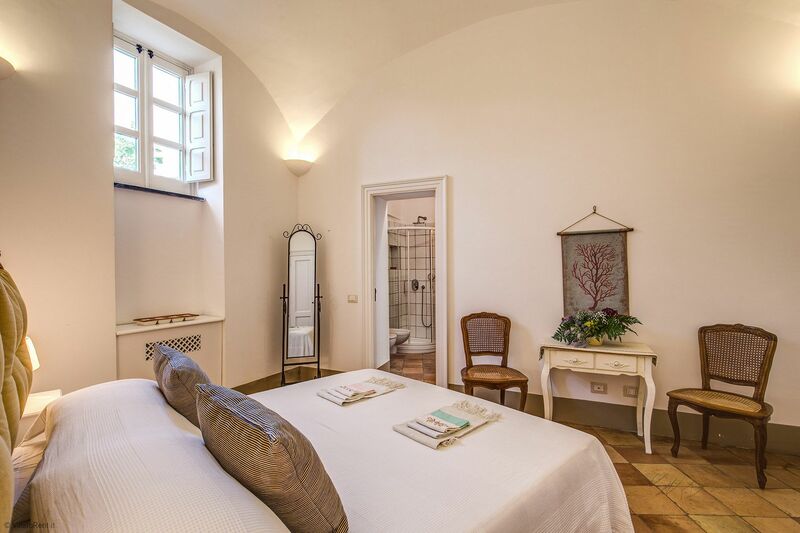 A wardrobe and a full, in-suite bathroom with walk-in shower and sunflower shower head, complete the luxurious amenities of each suite. 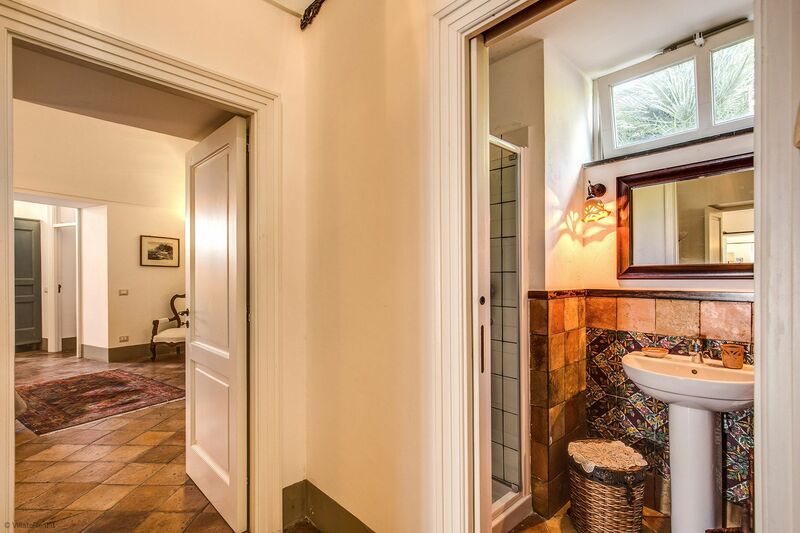 Each bathroom is accentuated by tiled floors, gorgeous marble walls, and impeccable wood trim. 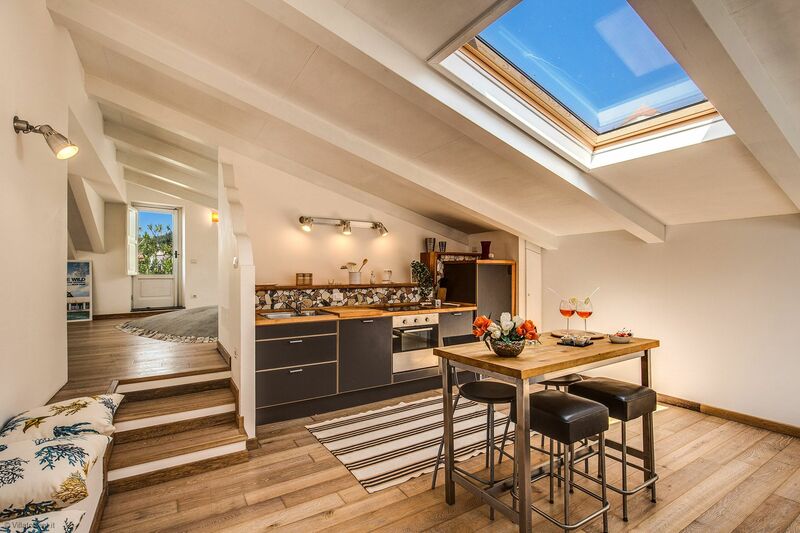 A beautiful, fully equipped kitchen is also found on the second floor. 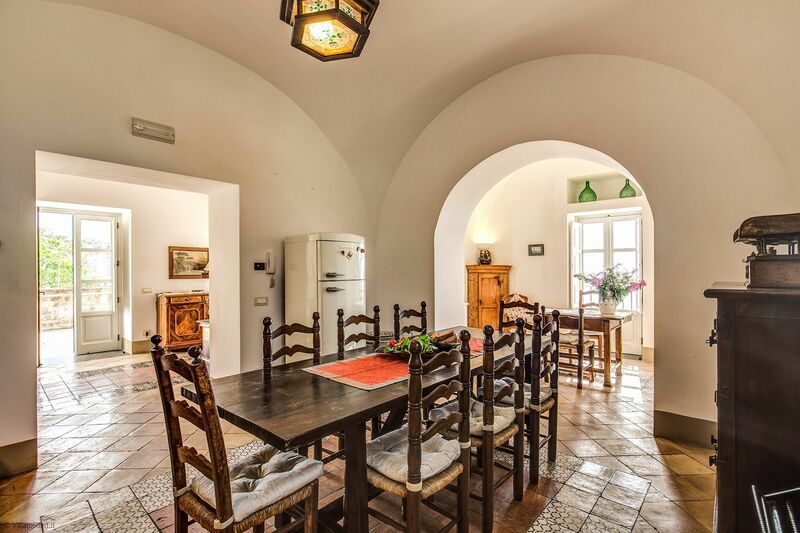 It is furnished with a 5-burner gas stove, oven, refrigerator/freezer, microwave, built-in dishwasher, and a kettle for a teatime of your choosing. 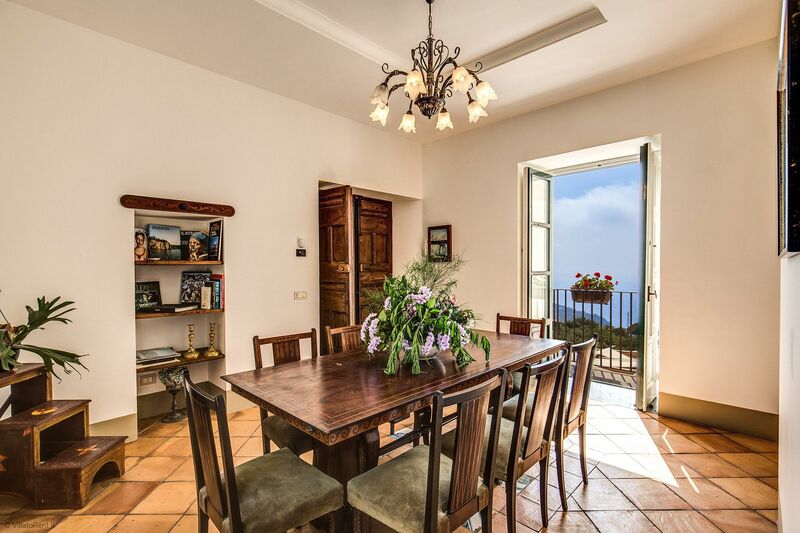 A dining room with a table for six is set off the kitchen and is perfect for your morning breakfast or family dinner together. 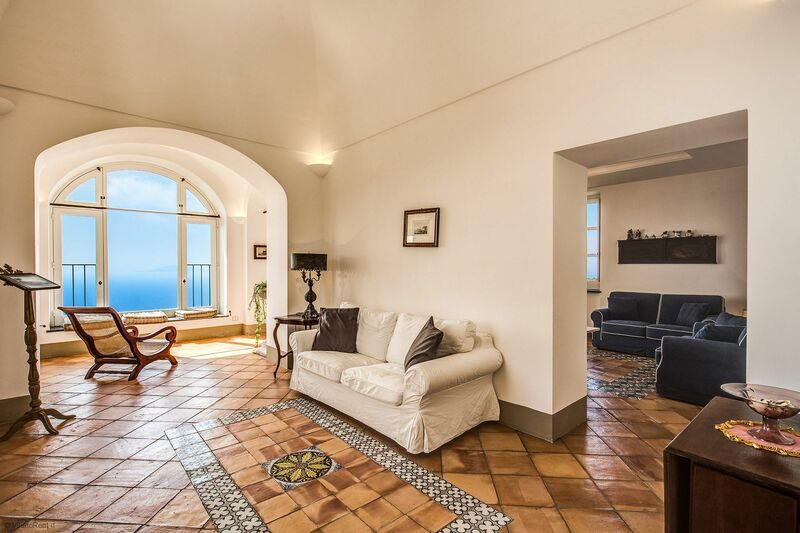 Adjacent to the dining room is a most comfortable and breathtaking living room, furnished with a sofa and large bay window, providing an amazing view of the Mediterranean Sea. 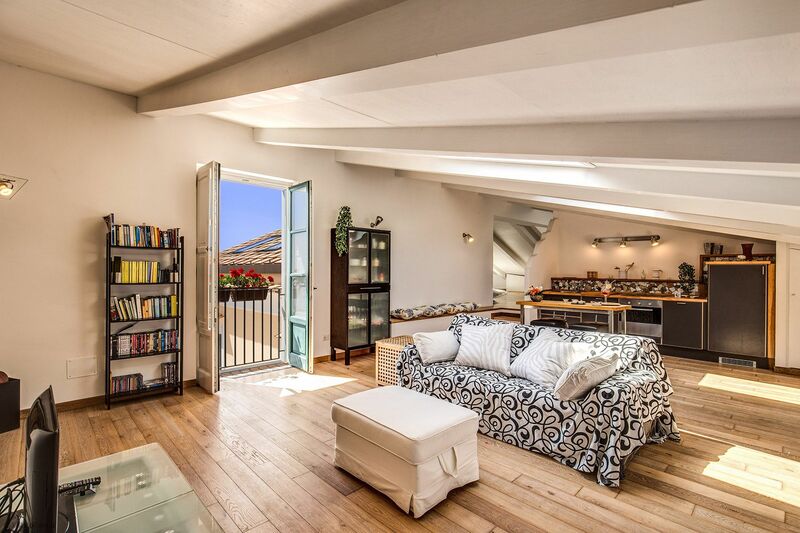 Spanning from the living room, you and your loved ones can relax in the adjacent TV room, complete with a 32” flat screen Samsung TV and Sky satellite package. 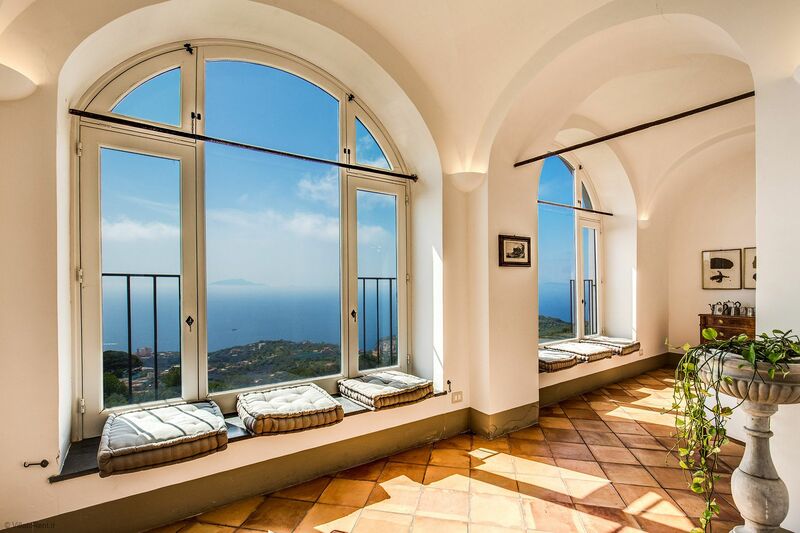 However, it is the large bay window overlooking the Mediterranean Sea that will provide the real entertainment in this room. 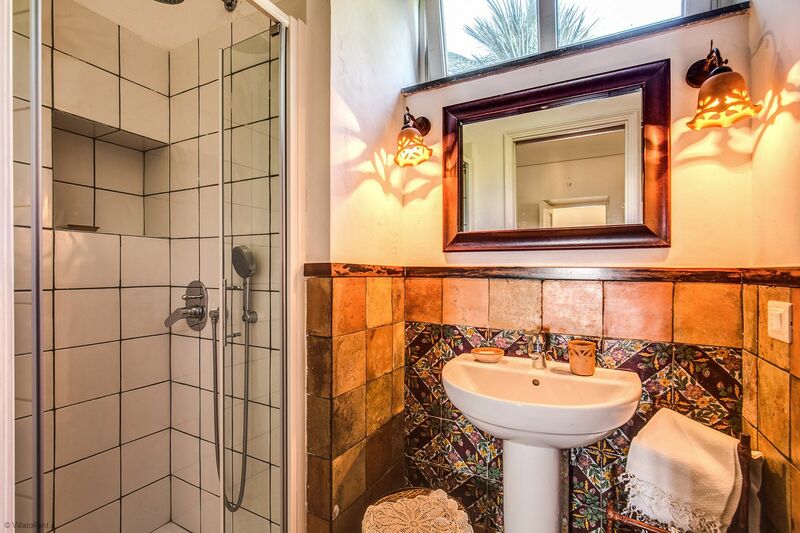 An added feature of the second floor is the guest half bathroom, located just off the hallway. 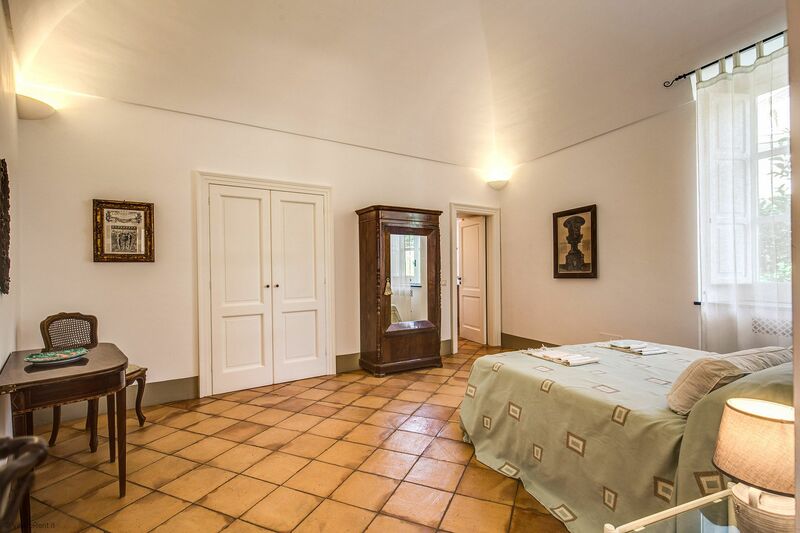 Like the first floor, there is heat, air condition, and WiFi throughout the property. 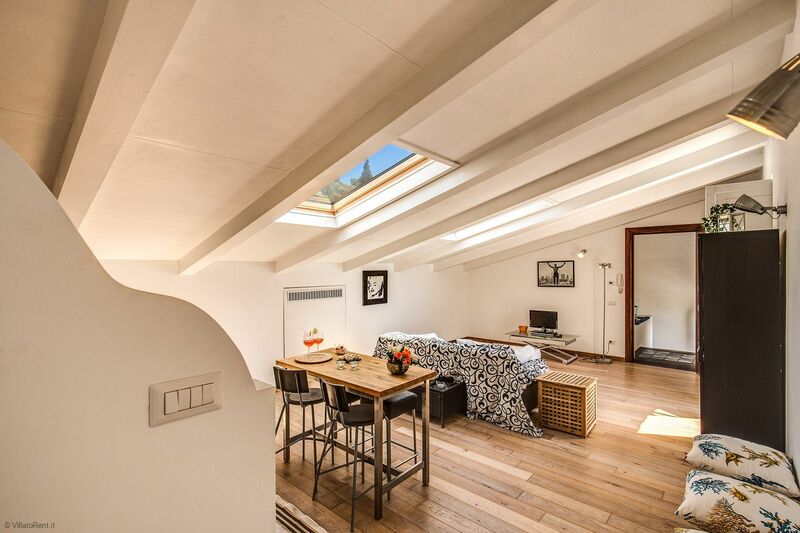 Is the attic floor with teh best view, there is a double Bedroom and a full bathroom, a very living space and a big Balcony with an amazing view and an outdoor shower, sunbed and sun umbrellas to sun bath. 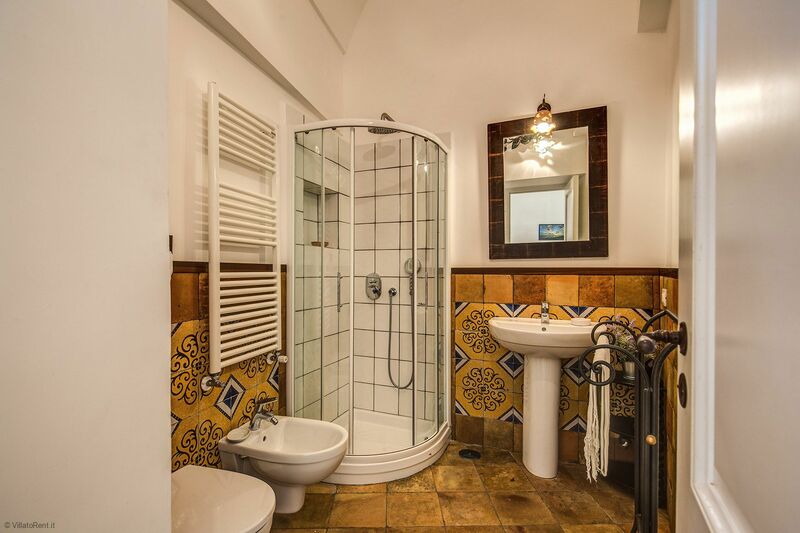 Top Tips From the Owner. 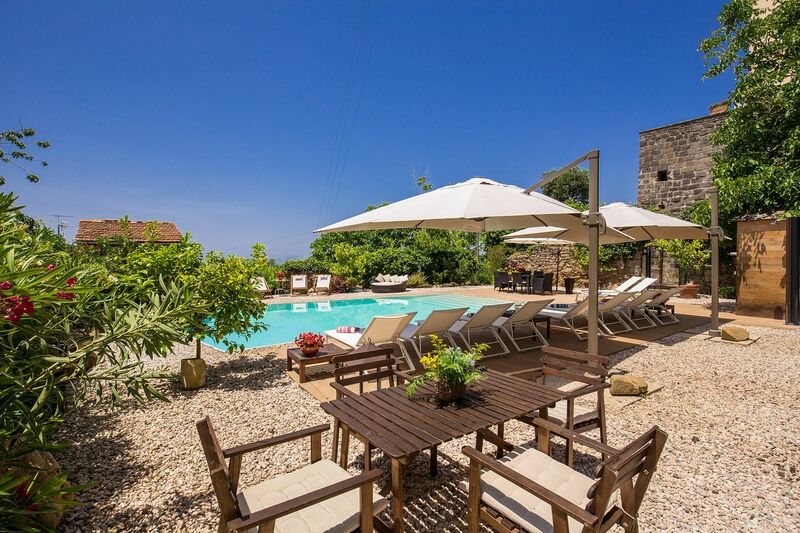 Villa Aqvara is the ideal place to spend a relaxing and ideal for hosting events or weekly stays, in a cozy, yet fascinating, atmosphere. 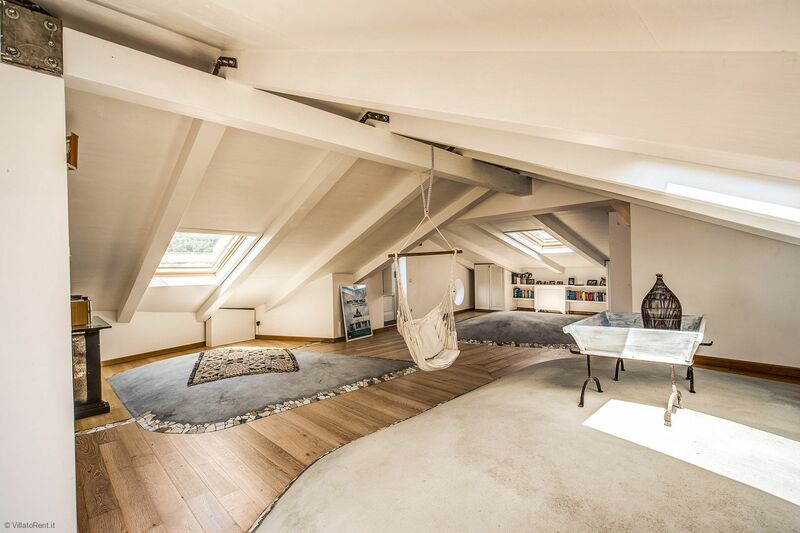 Built on three levels, the property comprises of a ground floor, a first floor and an attic. 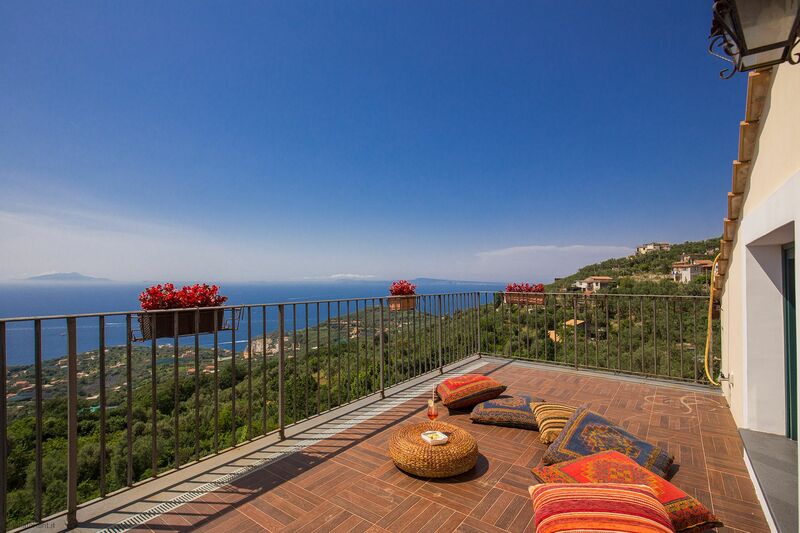 Villa Aqvara has a cozy terrace where you can admire a breathtaking view. 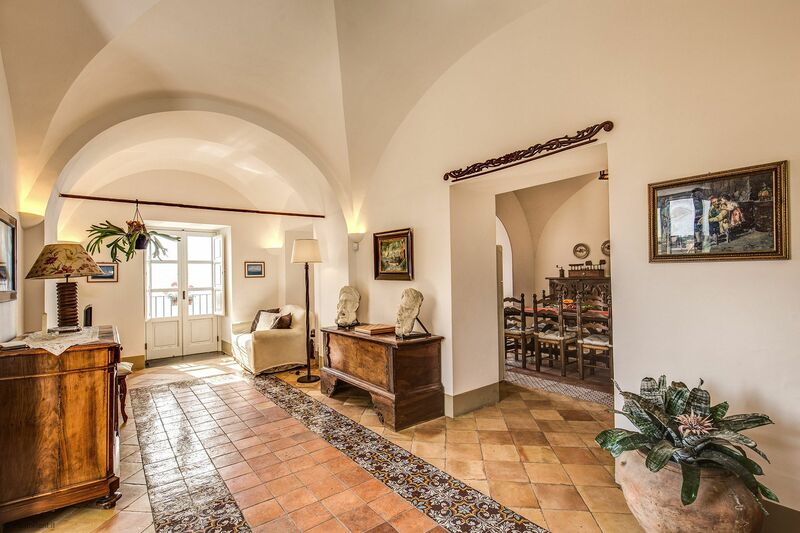 Details of great charm are represented by its large millstone and ancient deep-water well, located on the ground floor. 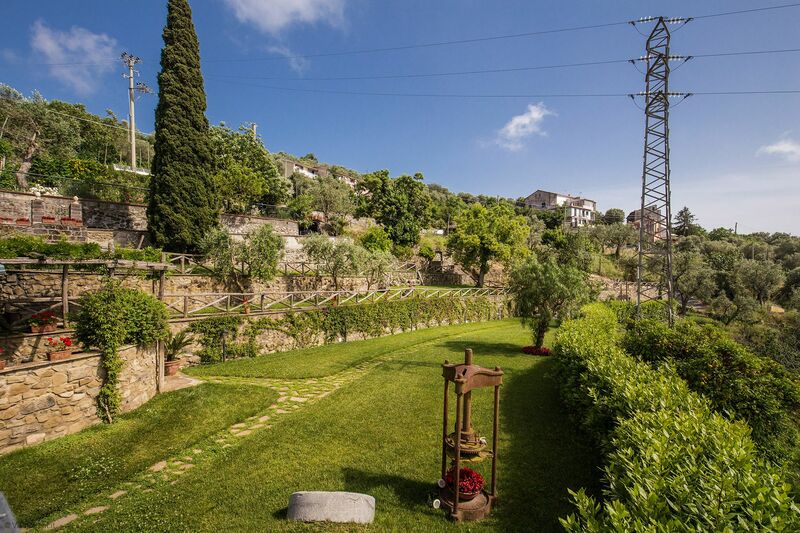 Gardens, terraces, courtyards, and outdoor areas equipped with every comfort imaginable: beds, tables, chairs, armchairs, sofas,and barbecues offer guests the choice to lie down in the shade of lush trees, relax in the sun, or stroll in the meadow, picking fruits directly from its trees. 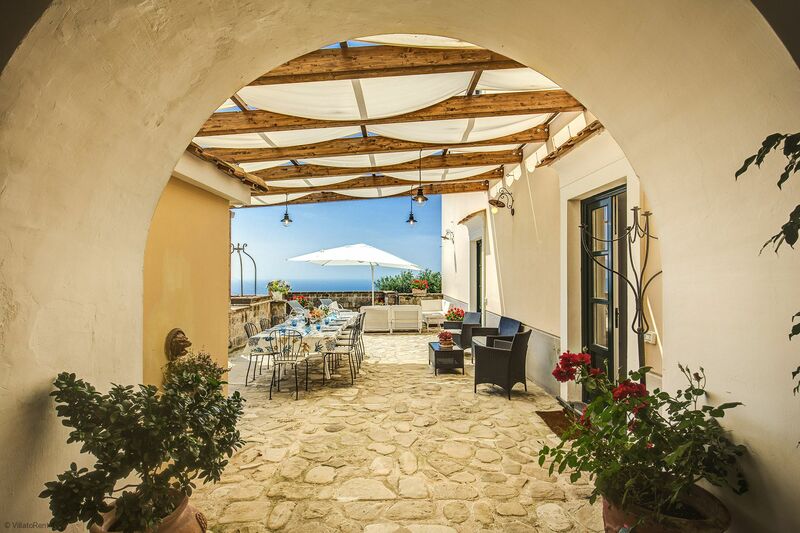 The refinement of the functional and stylistic choices, together with the landscape, make Villa Aqvara a single dwelling, where identity and history come together in a happy synthesis that offers guests a unique opportunity to live a holiday dream. 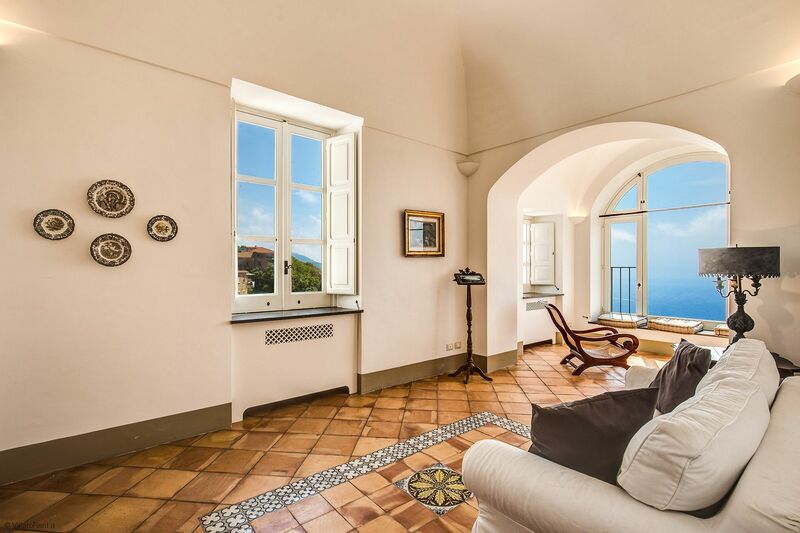 A couple things to bring to your attention: We are proud of the five years of upgrades, restoration, and renovation work that went into this extravagant villa. 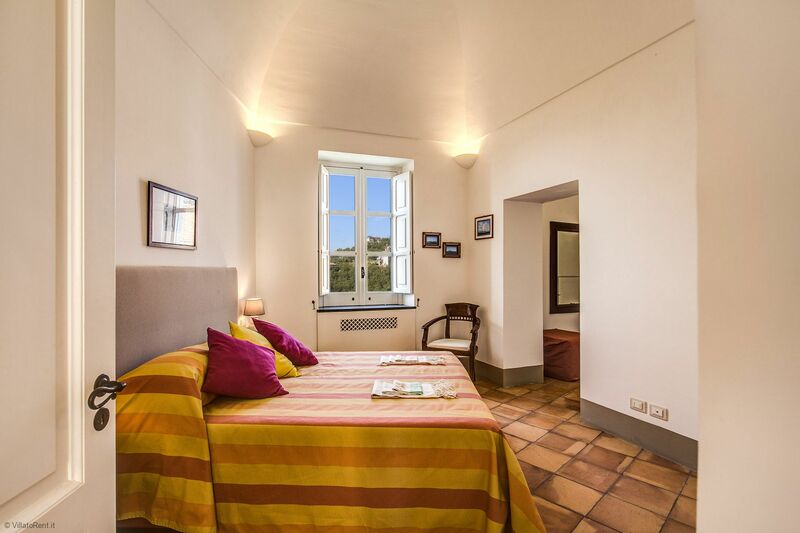 We also want to inform guests that there are eighteen steps from the first floor to the second floor.